I am now in the final stages of my Creative Writing MLitt at Glasgow University. Only 25,000 highly polished and well-crafted words to go… Looking back on the year, it’s been a worthwhile learning experience. The taught portion of the degree is split between three modules: Craft and Experimentation, Editing and Publication and workshops. The Craft and Experimentation unit was the most enjoyable, as it meant getting to explore new writers, their work and style as well as exploring why and how we write. During the first semester we read Barbara Kingsolver’s The Poisonwood Bible, Margaret Atwood’s The Handmaid’s Tale, Flannery O’Connor’s Everything that Rises Must Converge and Alice Munro’s Open Secrets, amongst others. 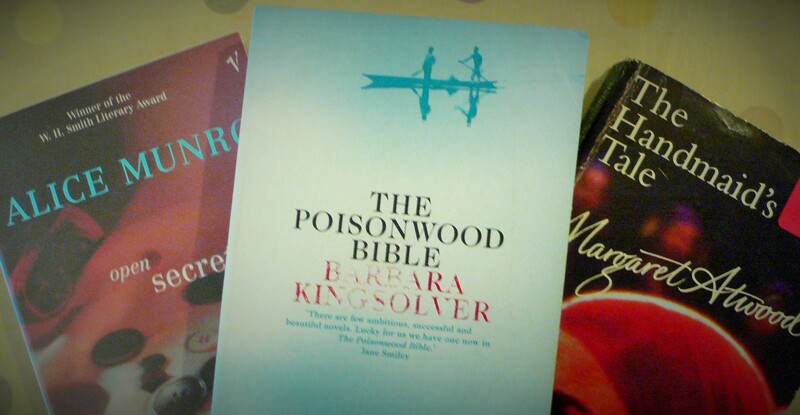 I enjoyed them all but my favourite was The Poisonwood Bible and Open Secrets. I love that Alice Munro can take seemingly everyday material—the stuff of her hometown and upbringing—and turn it into something special. 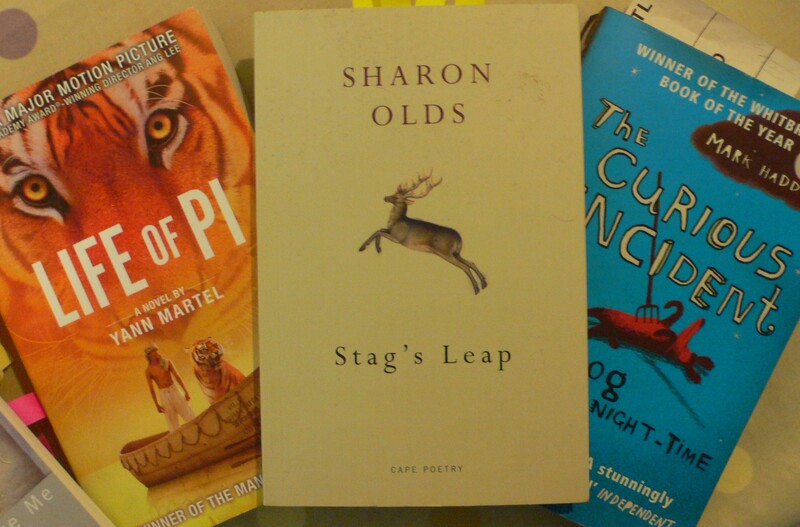 During the second semester we focussed on more contemporary books and poetry. We read Room by Emma Donoghue, Life of Pi by Yann Martel, After You’d Gone by Maggie O’Farrell, Sharon Olds, Petit Pascale and Mary Oliver. Out of these I enjoyed Mary Oliver’s work the most, though I learned something from every writer we studied. While I discovered that I did not care for Sharon Olds style, it was interesting to learn more about confessional poetry. I had not previously considered writing about myself or my life, directly. And while I don’t think I’ll be doing any autobiographical writing anytime soon, I certainly enjoyed exploring how connections are made between the life experiences of the writer and their work. Extracting the emotional essence of an experience is something I’m very interested in, although I think the details are better left alone. 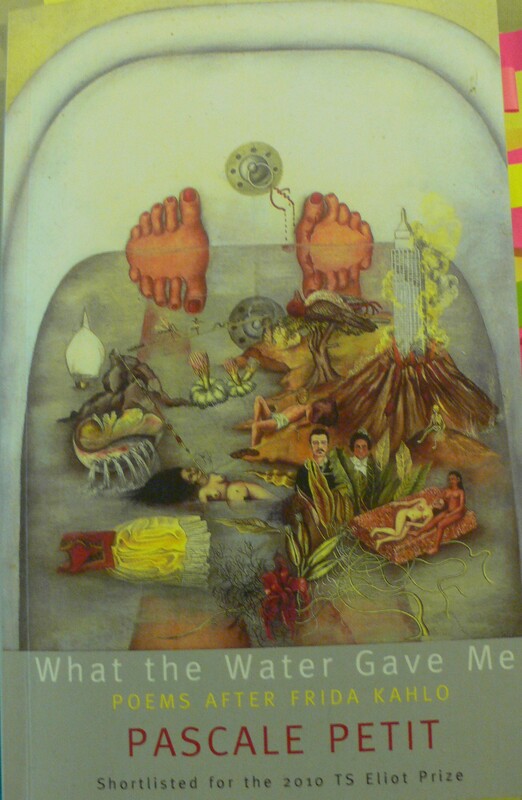 I also learned a lot from reading Petit Pascale’s book of poems around the paintings of Frida Kahlo, What the Water Gave Me, named after Kahlo’s painting of the same name. Alongside this I read a couple of biographies of Kahlo’s life, Frida: The Biography of Frida Kahlo by Hayden Herrera and Frida Kahlo: Passion and Pain by Andrea Kettenmann. As most people know, Kahlo’s life was full of suffering and pain from a very young age. While her poems (and the biographies) made for difficult and upsetting reading at times, it was enlightening to see how Kahlo’s painting transformed her life. While her work could not deliver her fully from pain, it did distract her and give her a purpose, something that was uniquely her own and which others could appreciate. It was, perhaps, her way of communicating her pain to others, and communicating more generally. On the flip side, having read more about what she went through, I can both appreciate the paintings more as well as finding them far more disturbing than I previously realised them to be. The harnessing of emotion and its transformation is something which was fascinating to explore. Another interesting topic we covered was the relation of art forms to each other, and to writing, known as ekphrasis. One of our assignments was to write a piece based on a painting. Another was to think about how music influences our writing. Prior to this I was never able to write to music as music tended to distract me (even instrumental music) but since then I’ve begun compiling soundtracks for my stories. Thinking about how art is created, what inspires us and how we can help this process along has been the best part of the course. Also, it has helped me to think about different routes coming off of writing itself, and the various benefits writing/producing art can give us in our lives (besides publication, I mean!). And that is something which can never be lost. The Editing and Publication module was also helpful. During the first semester we had various speakers visit to discuss their work and the different elements of publication. For example, the editor of “The Dark Horse” poetry magazine, Gerry Cambridge came and talked to us about what is involved in the production of a small scale poetry magazine, and the various challenges they sometimes face. We also spoke to Sara Hunt of Saraband Books about how best to approach an editor, how to pitch your book, and the role of a publisher. Towards the end of the semester we spoke with Jamie Colman of Green Heaton about the role of a literary agent and how they make decisions. Everyone who came to speak to us was honest about what their work involved, and how we could use that knowledge to our advantage, either through approaching publications or by getting involved in that side of the writing business ourselves. Other students chose to concentrate on running workshops for schoolchildren and collecting their stories in a bound anthology, writing a radio play and various other projects. For myself, I concentrated on this blog, and the recent publication of my novel, The Forest King’s Daughter, which is available from Amazon http://t.co/HL50jaLLXb. The workshop element of the course was enlightening, to say the least. While everyone did their best to help each other develop as a writer, the level of in depth discussion on my writing was something I had not encountered elsewhere, and which definitely pushed me forward. Working at this level forced me to continuously question and challenge myself, and I think this was a very good thing. My writing in general, and my approach to it, has benefited as a result. At any rate, I got a distinction on my last assignment. 🙂 Yeh-hey! Have you done a degree in Creative Writing? If so, what did you think of it? Did it help you? Or, are you considering doing a degree in Creative Writing, and, if so, what are your considerations? I’d love to hear your thoughts, so please leave a comment below.